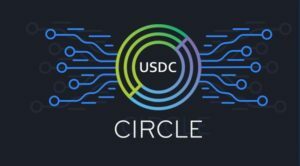 Circle Launches Yet Another Stablecoin (USDC) - Coinfomania Coinfomania: Where blockchain and cryptos live. Circle, a mobile trading and cryptocurrency exchange firm, backed by Goldman Sachs has launched a stablecoin that is pegged to the value of the U.S. dollar. According to reports on Bloomberg today, the token, the USD Circle (USDC), will be available for immediate use on Circle’s Poloniex exchange and Circle Trade. The stablecoin will be guided by a consortium called “Centre,” which will allow it to provide clear audits which controversial stablecoin Tether failed to do. At press time, users can make deposits of fiat currencies and convert it to the stablecoin and vice versa on Circle’s platform. As mentioned in the report, USDC will soon be available on other crypto exchanges like DigiFinex, CoinEx, and OKCoin while Kucoin already announced support for the stablecoin. Alongside many other top exchanges, crypto wallets like BitGo, Cobo, Coinbase Wallet and imToken have partnered with Circle. This move is coming a few weeks after crypto enthusiasts are seeking for ways to be safe with the continuous use of virtual currencies due to its volatility since the inception of the year. 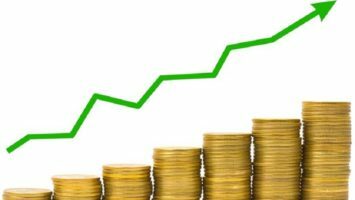 Tether that many considered as the ultimate solution to the increased volatility is not what it claims to be, as the US dollar does not actually back the token, and its alleged refusal to get audited stirs large concern to the token. This is not the first time a crypto firm will be launching a stablecoin as reports on Coinfomania last week revealed that the Winklevoss twins exchange launched its US Dollar-Pegged digital currency dubbed the Gemini US dollar (GUSD), which saw its approval by the New York Department of Financial Services. So far, developers of these tokens have promised to offer transparency, such as using a trust company to hold the dollars backing the coin just like GUSD pledged. Circle has made its promise stating that its recently established consortium, Centre, will act as a watchdog over its stable coin issuers, making sure they have required government licenses and banking partners that can hold their dollar reserves. Also, the firm has reiterated that a certified public auditor will be brought in at least once in a month to attest that their reserves correspond with the number of tokens issued. 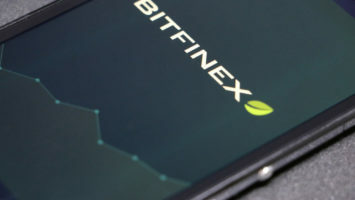 Skeptics are still in doubt as to whether or not these stable coins live up to their promise just as we have seen with Tether token. Do you think these new stablecoins will live up to expectations?